All tennis fans are awaiting the results of one of the four Grand Slam tennis tournaments being played these days in New York. The U.S. Open is one of the two tournaments that I like best, the other is Roland Garros. I like the first because is played in New York, second because it takes place in a great atmosphere of business, celebrities and entertainment. The big news this year is that former world number one Andy Roddick is to retire from tennis after the tournament and that Rafael Nadal will not play due to injury. Predictions for this year are varied. Obviously the favorites are Federer and the defending champion, Novak Djokovic. The other are hometown favorite Blake, Del Potro and Berdych. But who knows, maybe Roddick is the big surprise? What about a super great final Federer – Roddick? 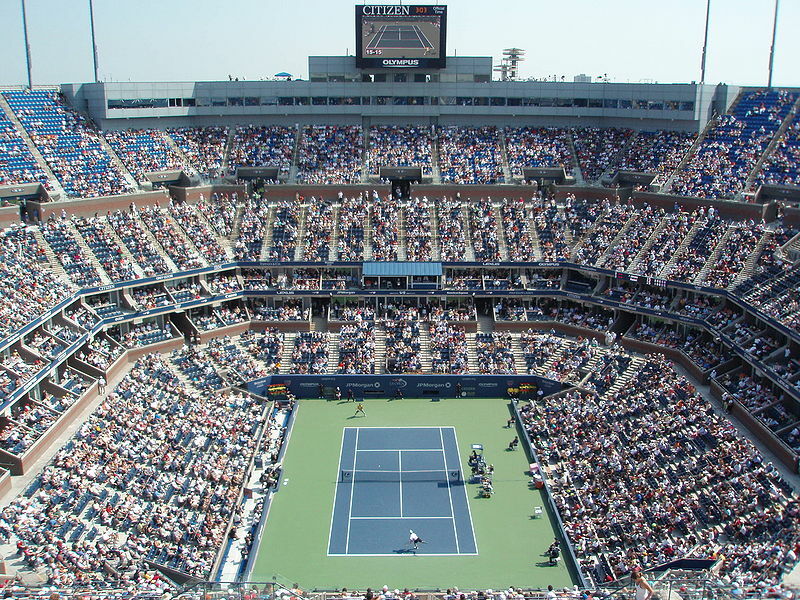 The tournament is played at Flushing Meadows in the USTA National Tennis Center in Queens New York. Night sessions are great fun, some matches have been memorable, like the one that took place one night in 1992 when Jimmy Connors won to Jaime Oncins 6-1, 6-2, 6-3 and then celebrated his 40th birthday in the middle of the Stadium Court. We were there 20 years ago, young and free. I remember we were at the hotel, ready to watch the matches on TV, when suddenly we saw the whole stadium standing and cheering. We realized something big was about to happen, so we left the hotel as fast as we could and took the first train to Queens, we arrived just in time to see the magic moment when Jimmy Connors blew the forty candles of his anniversary, right there in the middle of the court. It was his great comeback, in 1991 he reached the semi finals at the age of 39. Here I give you some tips to better enjoy this tournament. Do not try to go in your own car, it is impossible, the traffic is crazy and will take hours to arrive. It is best to take the train, here you get transportation info and directions. Eating there is very expensive, take away something to not starve or eat something outside the stadium. This is the Fan Guide designed by the USTA to help you to get the most of your 2012 US Open experience.